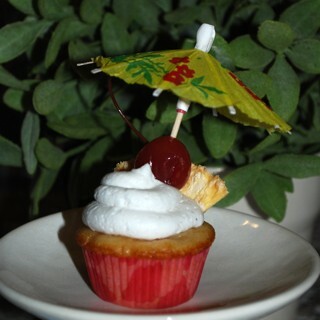 A new day, a new cupcake! 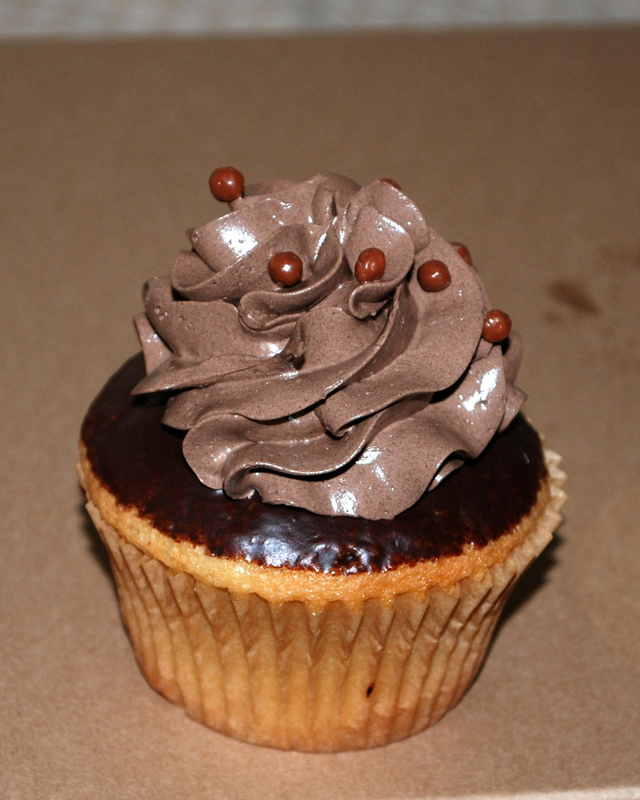 Almost finished up the cupcake flavors today! I know, we’re pigs! 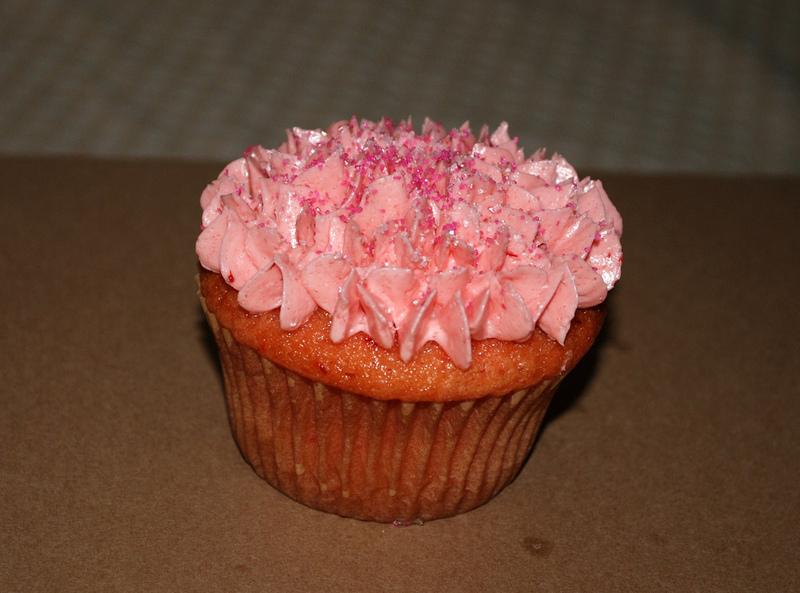 Strawberry: It would have been better if the icing tasted more like strawberries. The cake was moist and smelled delicious (and tasted delicious as well). Most of the icings seem to taste the same. Very nice silky texture, though. 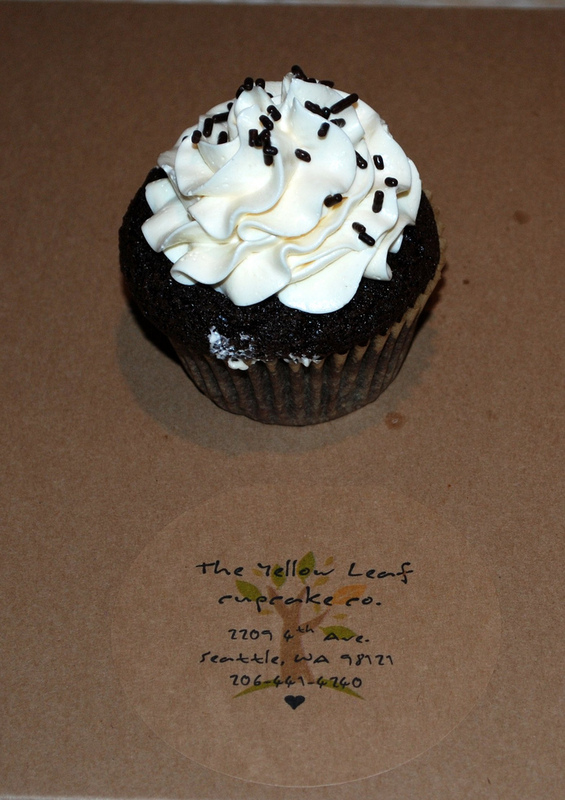 Carrot: Good, but not as good as Cupcake Jones. There were only a couple of visible carrot shreds. Lots of spice. I’d have another. Other flavors: these are pretty much a combination of the other flavors already mentioned. All good! 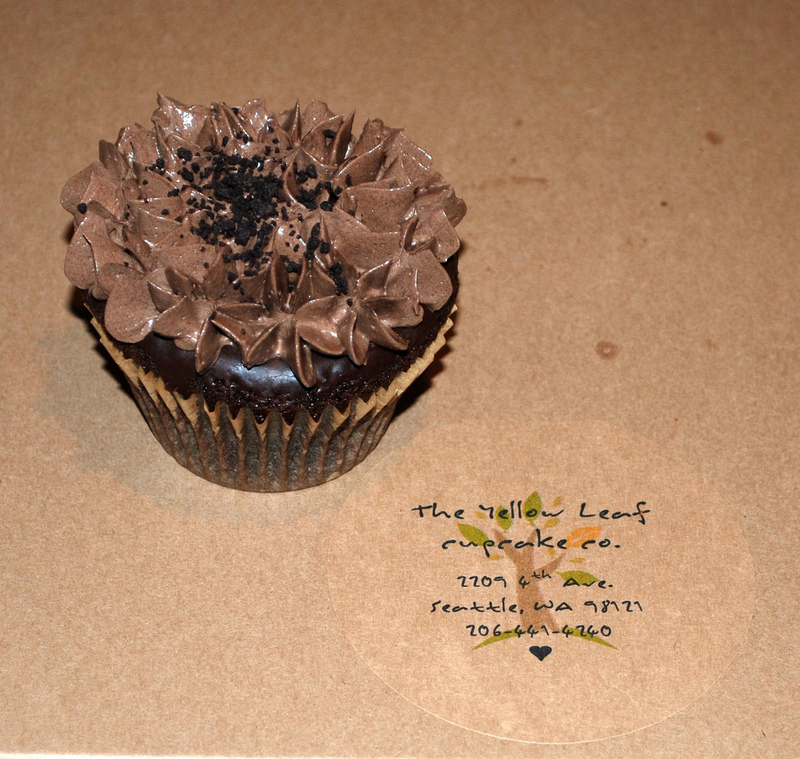 Yellow Leaf Chocolate w/ Vanilla.